There’s power in the collective—in activism and in the music scene, and Shawna Shanté Scroggins and Jade Ariana Fair know this. 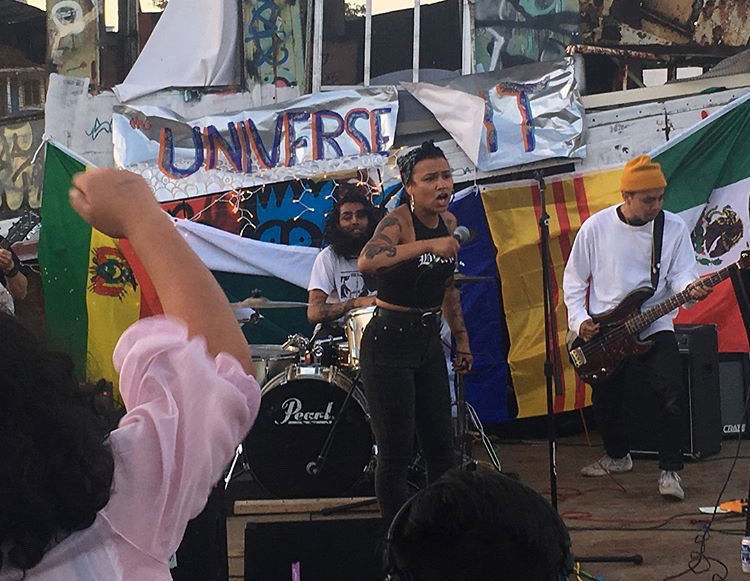 In August 2017, Fair, Scroggins, Sharmi Basu and Titania Kumeh—all local musicians—debuted The Universe is Lit, a multi-day music festival with a lineup consisting entirely of black and brown experimental and punk musicians. 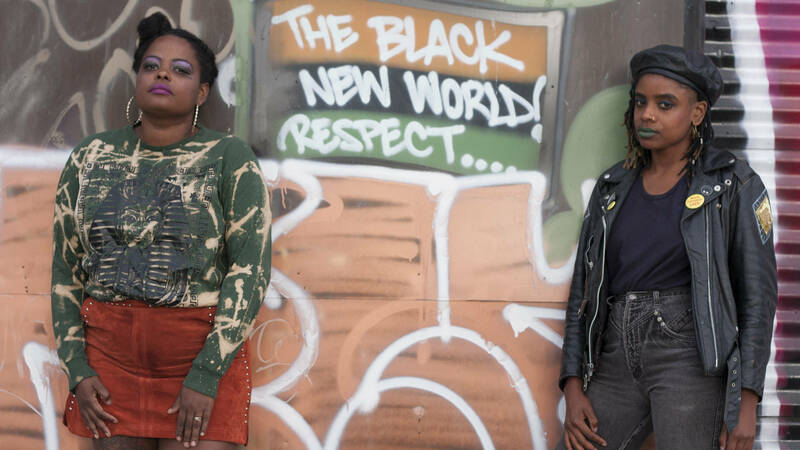 Inspired by a series of events organized by the Black and Brown Punk Show Collective in Chicago some years prior, the trio seized an opportunity to highlight musicians of color in the Bay Area's underground scene. Scroggins, a DJ, musician and the co-executive director of Bay Area Girls Rock Camp, and Fair, a visual artist and performer in noise duo Earthbound, have taken the reins for the festival’s second year. This time dubbed The Multivrs is Illuminated, the mission of this year’s event embraces the collective mindset at the heart of punk. “The universe is singular and the multiverse is like, we are all illuminating this space together,” Scroggins explains. This weekend’s four-day festival, taking place Aug. 9–12, will span both sides of the Bay Bridge, at venues like Oakland’s ProArts and Red Bay Coffee, as well as Artists Television Access (ATA) in the Mission district. The roster is packed with artists drawing from multiple genres. The acts are as varied as psychedelic cumbia and dub band Xolito Sound System, electronic music producer and artist Wizard Apprentice and Denver’s Death in Space, who blend blistering shoegaze with punk and noise music roots. The fest also features artist vendors and opens on Thursday, Aug. 9, with a screening of a slate experimental films at ATA. For Scroggins and Fair, the focus on the collective is crucial in light of current political and social tumult. “So many things in this world don’t want us to shine and it can be hard,” Scroggins says. “There’s scarcity and competition, but it's like each of us shine together and there is infinite space to do that." The name change is also a nod to the fleet of people— volunteers, performers and hosts of the venues—who support Scroggins and Fair in making the festival come to fruition. Beyond a festival, The Multivrs is Illuminated is a distillation of Scroggins and Fair’s philosophy of punk—where everyone is welcome and encouraged to bring their full selves despite any preconceived and notions of what is—or isn’t—punk. Scroggins had gravitated to alternative spaces her whole life, but growing up in Phoenix, Arizona, she felt a barrier between herself and the punk scene. “You’d have to look like a certain aesthetic that didn’t resonate with me, and there were so many dudes,” she says. “Going to all these different spaces because as a weird black person, or as a weird brown person, I feel like we go to all these different worlds because we’re like ‘Where’s my zone?’” Scroggins says. Fair felt similarly alienated during upbringing in Los Angeles. She’d travel from her Inglewood home to the west side of the city for school, and the physicality of moving through the landscape of Los Angeles left an impact on her. That demand, of course, carries into the mission of the festival. “Me and Shawna are following in this legacy of people who are like, ‘I’m going to articulate all parts of myself in all of these spaces,’” Fair says. For years, the white face of punk music erased the black and brown artists whose contributions to the genre shaped its path from the start. There was Bad Brains, an all-Black band from 1980s Washington D.C. who paired rumbling, whiplash-inducing drums with reggae. Death, the band of brothers from Detroit, are often cited as one of the first punk bands of all time. Poly Styrene, a biracial, working class woman, fronted the U.K.’s X-Ray Spex with an inimitable caterwaul. On the West Coast, Chicana artist Alice Bag brought her foundation of Rancheras and soul music to the East L.A. punk scene in the 1970s. In short, a festival like The Multivrs is Illuminated isn’t a novelty: it’s both a reminder and a continuation of a long history of black and brown artists in the punk scene. The festival’s wide parameters of punk hark back to Scroggins and Fair’s understanding of punk as a political philosophy of self-determination, community and challenging the status quo, not necessarily a particular sound. “It is a basic structure or foundation of reality that's questioning what is force fed to us and being like, ‘We don't ask for what we want: we take what we want and we make what we want,'” Scroggins says. To her, punk is a means to challenge oppressive systems like capitalism, racism, sexism and homophobia. The Multivrs Is Illuminated takes place in Oakland and San Francisco, Aug. 9-12. Details here.